Do They Need Your Help? 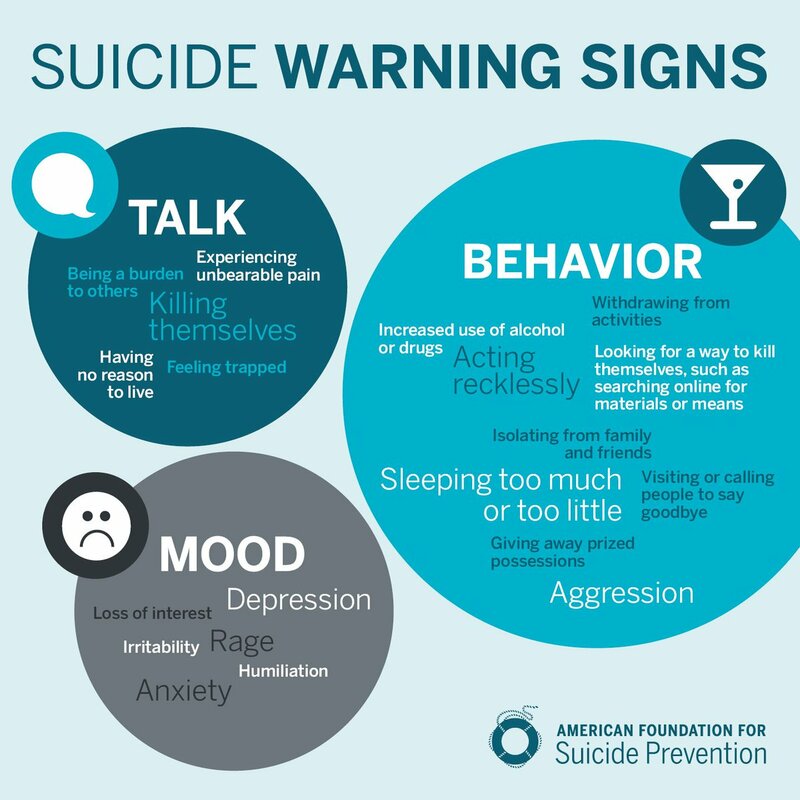 Looking for warning signs may help you determine if a loved one is at risk for suicide, especially if the behavior is new, has increased, or seems related to a painful event, loss, or change. If it’s a crisis, you can call 1-800-273-8255 or text SEIZE to 741741 to get free advice. What if You Have Suicidal Thoughts? If you think you may hurt yourself or attempt suicide, get help right away.